Have you ever had a moment in your life that was a catalyst and set you in motion on a path that you didn’t expect? Meet Jordan O’Malley, a 33 year-old teacher who leaves her fiancé after a health scare and drives across country to reconnect with her bold and blunt best friend Karin, and drifter brother Cam. Once in San Francisco, Jordan meets an interesting array of new people, including Cam’s mentor Shepherd Jon. However, things don’t go according to plan, and Jordan follows Cam when he leaves the country with his hodgepodge of friends, which takes her on a journey of unexpected lessons and discovery. Other than a few small errors that were missed in editing, I do not have any complaints with this novel. When I initially finished reading, I thought at first that Jordan had contradicted herself, but upon reflection, realized that her comments about certain past events were made with current knowledge, and not a reflection of what she knew at the time. Without wanting to give away too much information, my only other note is one of caution that the issues I mentioned above may be upsetting for some readers. Ms. Robinson is a captivating story teller who knows how to add the right ingredients to create a page turner that you don’t want to put down. Sleeping Tigers is a must read and you will not be disappointed. Join Jordan on her journey as she discovers that family comes in the most unexpected forms and that people are rarely who they appear to be on the surface. 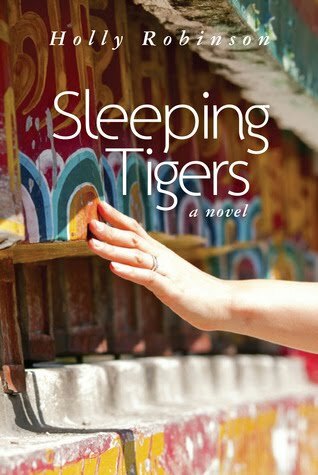 "Sleeping Tigers" is currently 99 cents for Kindle.